Security should be one of the most important considerations for your home; why fill your home with your personal effects and decorate if the home can be so easily burgled? It makes more sense to have a security system fitted that will deter any burglar and send them elsewhere. 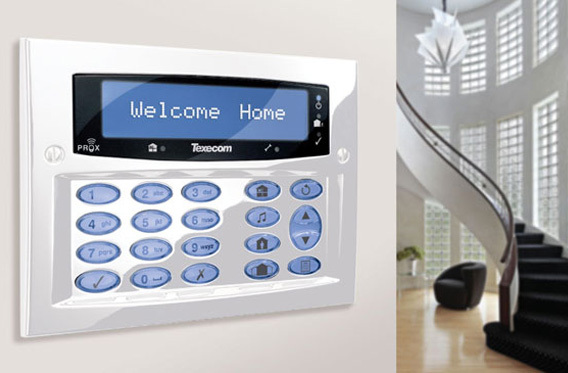 This page is designed to give you an idea of the sort of burglar alarm protection you’ll need in a private house and not to replace the role of a professional Security Surveyor/System Designer from a reputable security installer. This information will make it possible for you to discuss your homes secu rity at the time of your security site survey with a degree of understanding. 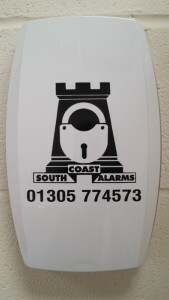 Residential property, South Coast Alarms feel, is best protected with a burglar alarm using ‘trap protection’. Trap protection is a strategy for protecting a property without fitting sensors in every room, for example, because statistics show burglars rarely break-in through windows at the front of a house (and are even less likely to stay in one room and leave through the same front window – they are likely to want to go straight to the master bed room), fitting a sensor in the rear rooms of the house along with the hallway is often considered sufficient for the ground floor, additionally, kitchens have heat sources (boilers, fridges, ovens, washing machines and such), hard surfaces and are generally considered unstable areas and because they rarely contain items of steal able or sentimental value, and as a rule, should not be protected with PIR either. However, although dual technology detectors are better suited to unstable environments, they are not immune from false alarms; the microwave motion sensor will detect movement through glass, thin walls and can even be triggered by water moving in pipes, and this can occur at the same time that the PIR is detecting the travelling of heat or other interference. As the alarm boxes are a good deterrent just having an alarm system installed by a recognised intruder alarm installer should deter most villains, whether they are opportunists or professionals, after all your system could be monitored by an ARC (Alarm Receiving Centre formerly referred to as a central station) to alert the Police in the instance of an alarm – it’s just easier to go next door or somewhere that doesn’t have an alarm system. Our ultimate goal is to provide you with a reliable, easy to use and affordable system that will offer you peace of mind for years to come. We offer our Clients a maintenance service including routine servicing and a full 24 hour emergency service. We are able to takeover the servicing and monitoring of all types of existing system.